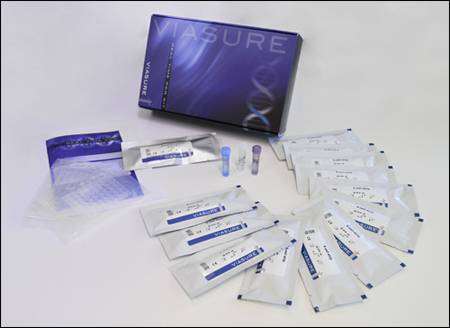 VIASURE Yellow Fever Real Time PCR Detection Kit is designed for specific identification of Yellow fever in clinical samples from patients with signs and symptoms of Yellow virus infection. This test is intended for use as an aid in the diagnosis of the Yellow fever in combination with clinical and epidemiological risk factors. RNA is extracted from specimens, amplified using RT-PCR and detected using fluorescent reporter dye probes specific for Yellow fever.  Yellow fever virus is an RNA virus that belongs to the Flaviviridae family. The “yellow” in the name refers to the jaundice caused by liver involvement that affects some patients. Yellow fever is an acute viral haemorrhagic zoonotic disease transmitted between humans and from monkeys to humans by mosquitoes, primarily by Aedes (aegypti) and Haemogogus, in 1 of 3 cycles: urban yellow fever, jungle (sylvatic) yellow fever, and intermediate (savannah) yellow fever. More than 900 million inhabitants and travellers are at risk in the 44 endemic countries of Latin America and Africa. The incubation period is generally 3–6 days from infection until illness. Many people do not experience symptoms, but when these do occur, the most common are an acute febrile phase occurs with myalgia, headache, back pain, anorexia, nausea, and sometimes vomiting; symptoms typically resolve within 1 week. Small proportions of patients enter a second, more toxic phase within 24 hours of recovering from initial symptoms, and develop severe symptoms (with high fever, jaundice, bleeding, and kidney damage). Half of the patients who enter this toxic phase die; due to there is currently no specific anti-viral drug. Although, specific care to treat dehydration, liver and kidney failure, and fever improves outcomes. Therefore, vaccination and mosquito control are the most important means of preventing yellow fever. Yellow fever is difficult to diagnose, especially during the early stages. It can be confused with severe malaria, leptospirosis, viral hepatitis (especially the fulminating forms of hepatitis B and D), other hemorrhagic fevers, infection with other flaviviruses (Dengue, Zika and West Nile viruses), and poisoning. Usually, the detection of yellow fever virus is carried out by virus cultivation on susceptible cells followed by immunofluorescence, ELISA, immunohistochemical examination or PCR. For quantifying the load of infectious particles in cell culture or serum samples, plaque assay is still the commonly used method. However, this is cumbersome and time-consuming technique. With the recent development of Real-Time PCR, a rapid and accurate alternative to quantify viral load in blood is available.